The folks over at Retrode have come up with a new USB adapter for Macs and Windows PCs that lets you play Super Nintendo and Sega Genesis games using the original game cartridges and controllers. The Retrode is a little device that you can use to plug your SNES and Genesis cartridges into, and play the games on your computer. 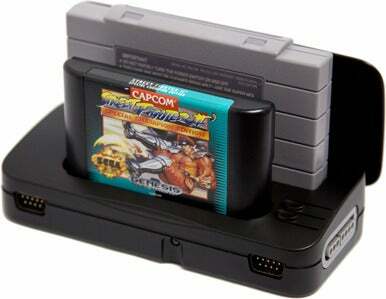 The device is basically a cartridge reader that can play the official ROM and save file off your cartridge. You'll still need to find and install a software emulator of the game console you want to run (it's not provided by Retrode), but it's a much safer alternative to downloading illegal and potentially virus-ridden ROMs. The Retrode is also equipped with four controller ports for SNES and Genesis controllers (two per system), letting you fully relive those golden years of console gaming. Imagine playing Super Street Fighter II Turbo again with a six-button Sega controller. Or, if you've still got your copy of Chrono Trigger lying around, you can finally get around to see all 13 endings with your original save file from 17 years ago. The Retrode is available for pre-order now for $85 directly from Retrode. Shipments are expected to begin on January 23 for Europe and early February here in the States. Retro gaming is pretty available these days between the Wii Virtual console, Game Room on the Xbox 360, and PSN Classics. But it always feels a little off playing old games without the original controller, and there's something blasphemous about playing Sonic 2 on a Nintendo system. It wasn't to long ago people were just giving that stuff away.. I still own quite a large number of those types of games from different manufacturers, play station, Nintendo, and what ever else laying around. I have never owned a games console Always done my gaming on a PC.